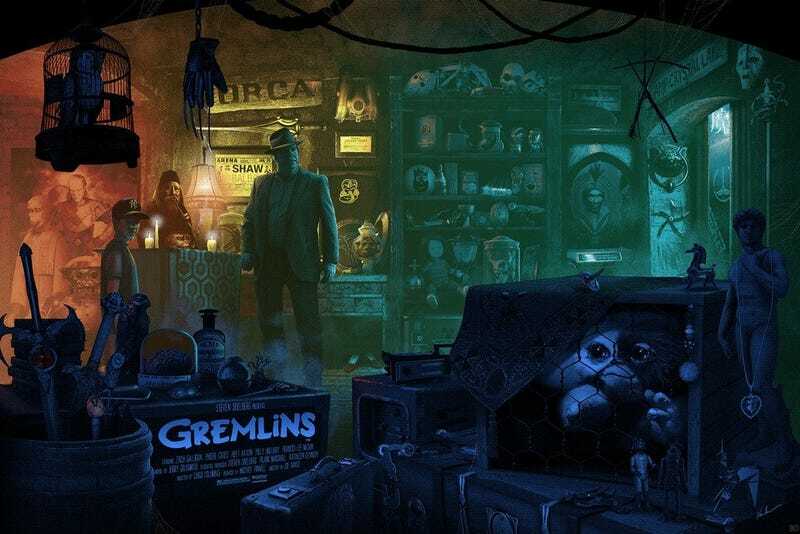 BEHOLD: Kevin M. Wilson’s new Gremlins poster, “The Old Curiosity Shop”. It’s a masterpiece. It is also jam-packed with easter eggs. Shameless nerd that I am, I’ve already identified most of these props and assigned them their proper film or TV show. However, there are still a few that have not been identified. Care to take a stab at completing the list? Any I missed? Any corrections? Fill in the blanks, nerds! !